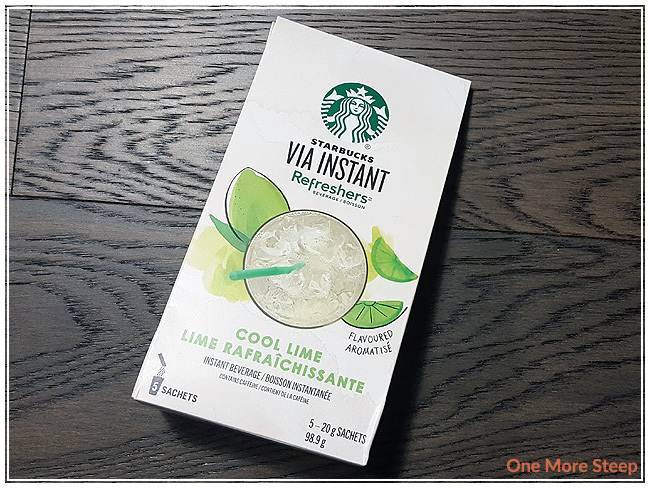 I was given a carton of the Via Instant Refresher in Cool Lime by a friend a while back and recently got a chance to try it out. It comes in a cardboard carton, with five individually portioned sachets of the beverage powder. I love the fact that it’s individually portioned and that makes it easy to use. The powder isn’t mixed with hot water, so it’s good for people who are on-the-go. 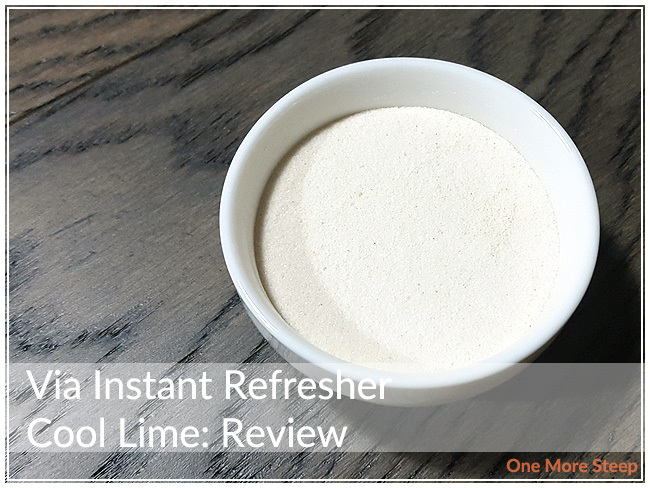 Via Instant Refresher Cool Lime is made up of: cane sugar, natural flavours, white grape juice powder, erythritol, citric acid, ascorbic acid, stevia leaf extract. 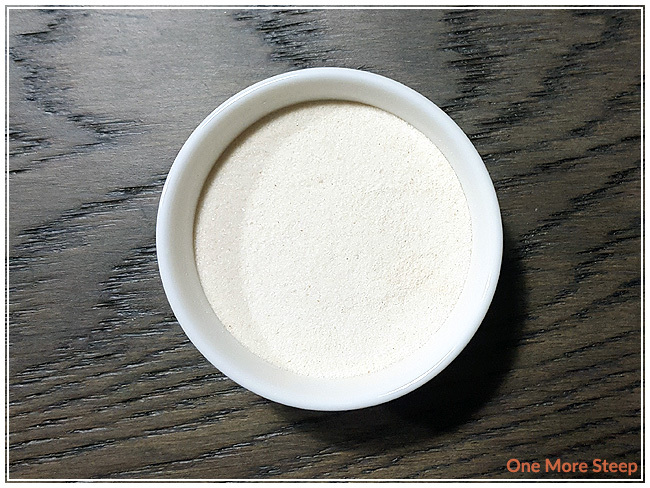 The powder smells very sweet and has a strong lime fragrance. The description on the packaging says that it contains green coffee, which isn’t listed on the list of ingredients. The instructions are to mix 1 sachet with 475mL of water and to mix/stir, with the option of adding ice. I mixed up the sachet of powder with the suggested amount of water, stirred, and added a couple of ice cubes. Via Instant Refresher Cool Lime has a very light greenish colour that reminds me of pale lime juice. I sipped it and it was very sweet with light citrus/lime taste. I can taste the stevia though, with that unfortunate aftertaste. It tastes delicious cold/iced, which I would highly recommend it iced. It fully dissolved in room temperature water, which was nice to see. I would add extra water on top of what the packaging recommends, because it’s very sweet and could be further diluted. Because all of the powder fully dissolved (surprise! 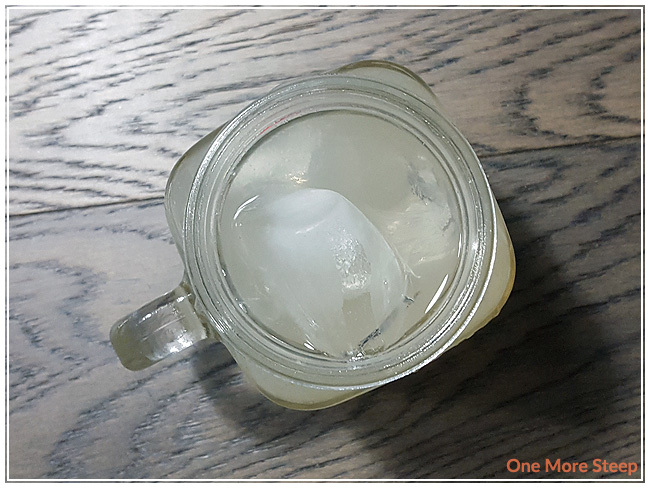 ), I wasn’t able to remix the Via Instant Refresher Cool Lime. 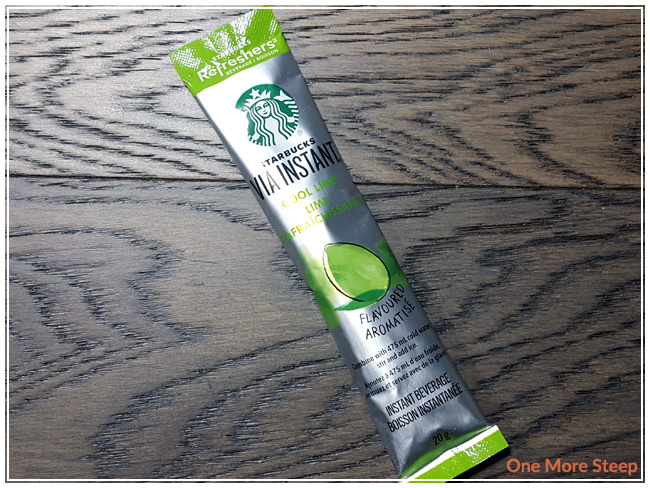 I liked Starbucks’ Via Instant Refresher Cool Lime. It lives up the name of being cool and refreshing, with a great lime taste. I thought it was on the sweeter side, which was weird because I generally enjoy sweets and desserts. The stevia aftertaste was dulled a bit with the presence of ice, so if you easily taste stevia I would add more ice. I think the amount of water that they recommend on the packaging is too little and it could be diluted further. It’s a great option for people on-the-go and want to have something to flavour their water The nice bonus is that despite the presence of coffee, I really cannot smell or taste it (which is a major plus for me). They are a bit expensive though, given that it’s well over a dollar per sachet – it’s still cheaper than buying a cup to go at a local Starbucks store.